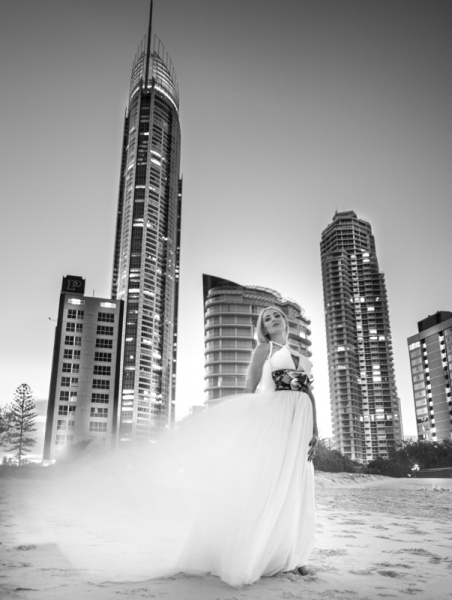 USPA NEWS - Gold Coast Mother of two appointed face of Aphrodite Cosmetics. Emma Swinson 40 now joins the list of sought after celebrities cashing in on the perfect demographics and market target for this age group of models. Models are being sourced by brand labels all over the world targeting this age group. Models in higher demand since reaching this age group include Christy Brinkley 59, Cindy Crawford 47, Stephanie Seymour 44, Pamela Anderson 45 and Revlon Spokeswoman Halle Berry 46. Swinson has achieved pageant titles such as Mrs Congeniality Australia 2015, Mrs Galaxy Byron Bay 2015 and National Finalist in the 2016 Galaxy Australia Quest to be held at the Gold Coast next week. Swinson has also acted in ‘East of Everywhere’, ‘Wolf Creek’ and featured in many corporate tourism and lifestyle TVC’s. Swinson originally from the laid back country town or Mullumbimby grew up in the rain forests of the hinterland regions appreciating life with mother nature and respecting natural alternative medicines. Swinson now lives in Byron Bay enjoying her peaceful lifestyle away from the hustle and bustle of ‘The Big Smoke”. When asked to be the new face ( Brand Model 2016 ) of Global makeup company Aphrodite Cosmetics, Swinson said , “ she felt blessed to have that acknowledgement as a tribute to her healthy living and lifestyle. Being a qualified cosmetician I have developed my personal skills over the last decade using natural products and was delighted at the opportunity to work with Aphrodite Cosmetics who produce only natural mineral products.” Aphrodite Cosmetics is a unique line of cosmetics, utilizing natural minerals and ingredients to create quality cosmetics by using minerals rather than chemicals or dyes Aphrodite Cosmetics provide brilliant make up that is longer lasting and of better quality than nearly any other competitor. Owner of Aphrodite Cosmetics Sarah Baruch said , “ Swinson was selected from a short list of over thirty women who met the demographics of what we are looking for in a ‘Brand Model’ - ‘Brand Representative’ . Swinson has modelled for many photographers building her dynamic portfolio and her raw natural unedited images caught our eyes as many submissions were extremely edited , many beyond recognition.” Swinson will now be seen all over Australia in the coming months on huge posters at trade events such as the Brisbane Ekka, Sydney Show, Melbourne Royal Show, Perth Royal Show and even seen at the Rockhampton Beef Week Pavilion. She will be printed on packaging and a permanent display of her beautiful completion will be on display at Aphrodite Cosmetics at the Pacific Fair Shopping Centre at the Gold Coast. Keywords: Aphrodite Cosmetics, Emma Swinson, Brand Model, Robbie Merritt, Uspa24, Gold Coast, Mineral Makeup, Makeup, Eyeshadow.